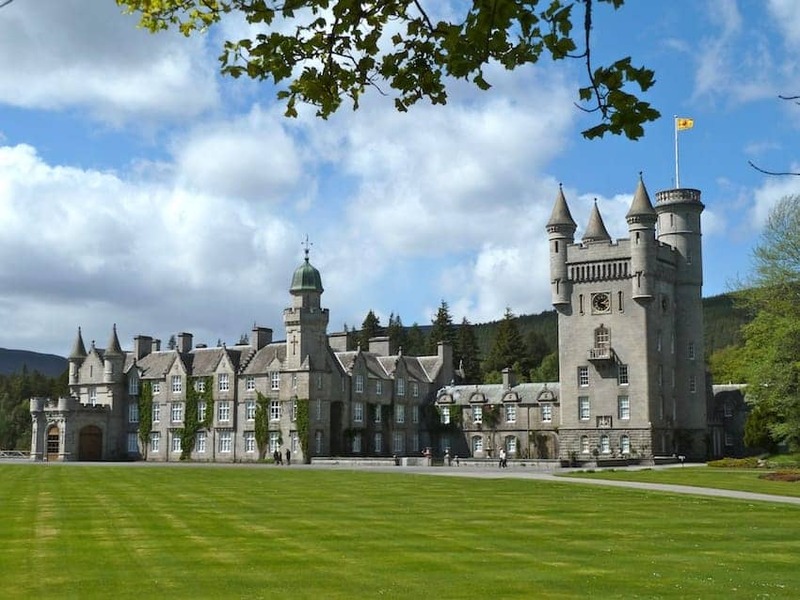 Balmoral Castle is a large estate house in Royal Deeside, Aberdeenshire and is an example of Scots Baronial architecture. The estate and its original castle were purchased by Prince Albert in 1852 and remain the private property of the royal family and is the private residence of the Queen during summer holidays. The Balmoral Estate covers 50,000 acres and includes grouse moors, forestry, farmland, herds of deer, Highland cattle and ponies. The Estate, gardens and the Castle Ballroom are open to visitors during the spring and summer. The castle features on the Scottish £100 note.